A startup’s homepage says a lot about where the company wants to be in the world, and naturally many evolve dramatically over the years as its mission changes or grows. A micro-site, UX Timeline, tracks a number of startups’ homepages over the years using the Wayback Machine to visualize how they changed over time. 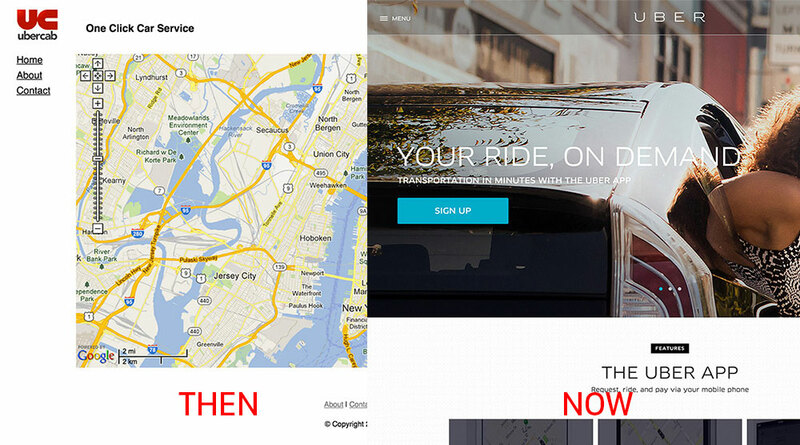 The results are pretty amazing — scrolling through Uber’s timeline illustrates just how rapidly the company grew from being a Web-based offering to a mobile-only app. Older companies, like email delivery giant Mailchimp, show how design trends changed over the years, from Web 2.0-style buttons, to skeuomorphism and then eventually settling into simple, flat designs. Created by Parisian founder Jacinthe Busson the site is a great way to appreciate how everything you see online has an almost invisible, rich history.